But you won’t find out because some folks don’t want its use in Arizona waters — or any waters — subjected to review. All that anyone is asking is, that before dumping of this poison in public waters, human health impacts of Rotenone be carefully evaluated by credible, independent scientists and a public participation process be allowed. There is strong opposition to reviewing the use of Rotenone in Arizona from state agencies and some individuals who will be paid to carry out these poisoning plans. They are joined by environmentalists and water projects with a vested interest in continuing the use of Rotenone. For decades fish and game agencies have attempted to restore native fish and get rid of non-native fish in targeted streams and lakes. One common method is to use fish poisons – called piscicides – primarily Rotenone and Antimycin A. In many cases the same non-native fish being targeted for removal were originally stocked by fish and game agencies decades earlier. Fisheries managers say Rotenone and Antimycin A have been used successfully to restore native, sometimes endangered, fish to their traditional habitats. They say without the poisons it would be impossible to reclaim streams for natives. Opponents say fisheries managers don’t fully evaluate the risk of the piscicides to non-target aquatic species such as amphibians, reptiles, insects and macroinvertebrates, some of which may also be endangered. Using piscicides in pristine, headwater steams is especially troubling, and there are many who fear the cumulative impact the poisons may have on water quality and human health. In most cases the repeated use of poisons hasn’t stopped non-natives and hybrids from reappearing in previously poisoned systems, either due to incomplete poisoning, natural migration, game department mistakes in stocking, and/or re-introduction of non-natives by citizens. The situation started when the Coronado Forest Service made a “finding of no significant impact” (FONSI) on a proposal to dump Rotenone into a stream above the town of Patagonia’s water supply. The stated purposed was to kill all the “exotic species” in the stream such as mosquitofish so endangered native fish such as the Gila topminnow could be reintroduced. According to 210 scientific studies, Rotenone is strongly suspected of triggering the onset of Parkinsons disease in people with a genetic propensity for Parkinsons. Rotenone is directly linked to the onset of Parkinson’s in those with a history of long-term exposure by recently released National Institute of Health Study (February, 2011). www.hih.gov/news/health/feb2011/niehs-11.htm Antimycin A, which is no longer manufactured in the United States and is banned from use in California because of human health concerns, has also been proven to be particularly destructive of macroinvertebrate populations and communities. Patagonia derives its water from shallow wells and the potential for the Rotenone to get into the town’s water supply is extremely high. Back in 1997 when the California Game and Fish Department dumped Rotenone into Lake Davis, that actions polluted the town of Portola’s water source. The state of California ended up paying $9.2 million to replace Portola’s water supply. But neither the Forest Service nor the Arizona Game and Fish Department, which is implementing the program to kill exotic fish and frogs, gave due consideration to the growing body of scientific evidence pointing to the potential risk of Rotenone to the people of Patagonia. The Patagonians organized a campaign to stop the Rotenone use that threatened the town’s water supply and managed to get a bill introduced by Senator Gail Griffin, who understands the moral and financial risk created by the application of this poison. The bill was quickly passed by the State Senate (SB 1294). SB 1294 took the first step to stopping the poisoning of the streams and water supplies in the state until there was a process to evaluate potential endangerment of human health. The issue was raised to the state legislature: Do you want to risk the state having to replace Patagonia’s water supply? Do you want the moral or financial liability for triggering serious illness in Patagonia or in any other town impacted by Rotenone? Arizona Game and Fish backed off its plan to poison the stream above Patagonia… for the moment. Arizona Game and Fish has treated this as an issue limitied to Patagonia. It is not. Plans exist to continue poisoning streams all over the state with Rotenone. Other communities’ water supplies are at risk. This was the second attempt to poison the town’s water source to exterminate the “exotic species” in the stream above Patagonia and the second time the town had to fight off the feds and the state and stop this precipitous action. Remember that little gem from the Viet Nam war? The most stunning fact that struck me about this fight was the idea that alleged “environmentalists” were eager to kill all the “exotic species” in the streams all over Arizona. Every mosquito fish, every bullfrog, every carp, bass, sunfish and whatever else was living in the stream…dead. I always though environmentalism was about protecting life. So how could all these environmentalists justify exterminating every living thing in a stream in the name of the environment? 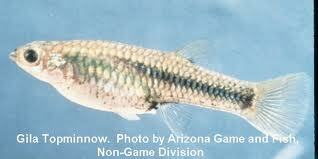 The most urgent fish management problem in Arizona is incompatibility of native and nonnative fishes. Nonnatives have been introduced for a variety of reasons, and now threaten even the smallest and most remote remaining native populations. Control or removal of nonnative fish is a challenging problem with, at present, a very limited array of feasible tools. Innovative methods are being investigated at many levels of academia and government, but development is lengthy, technically difficult, and expensive (hundreds of millions of dollars). The most invaluable tools presently available are the piscicides rotenone and antimycin A. These safe chemicals have been effectively used for decades throughout the United States and other countries to manage fish populations. So maybe Rotenone isn’t all that safe as some claim…. The political and philosophical agendabehind the poisoning plan became obvious upon reading the defense of the stream poisoning scheme by the environmentalists involved. They make a sharp value distinction between native species that naturally live in a place, and anything else that manages to co-habit with the native life. There is “good” life and “bad” life. Environmentalists want to kill all the “bad” (exotic) life so the “good” (native) life can be restored to some “pure” prior condition . Even though there is growing evidence that dumping Rotenone into streams may endanger people downstream, the advocates of killing all the “exotic” life are really determined to get their way. That raised an interesting question…why? Turns out there is a complex relationship going on involving the Endangered Species Act, US Fish & Wildlife, litigious environmental groups such as the Center for Biological Diversity and state and federal agencies involved in water projects or game management. The story starts in 1994 or 1995 when US Fish & Wildlife and environmentalists claimed fish could escape from the Central Arizona Project canals, swim upstream, and eat up and displace native species (mostly minnows) living in the headwaters of Arizona’s streams. A “Biological Opinion” was issued by the feds (re-issued in 2008), claiming the native species were endangered by the water project. The Central Arizona Project was the crowning achievement of pioneer Senators and visionaries who saw a secure water supply as the lifeblood of Arizona. The environmentalists’ contrary view forced the Central Arizona Project into an agreement with US Fish & Wildlife to mitigate the impacts of the themuch needed water delivery system. Now, pursuant to the Biological Opinion, money from the CAP is generously dished out every year to US Fish & Wildlife and others to poison Arizona’s streams to kill “exotic” species and replace them with endangered varieties of fish and frogs. Millions of dollars have been spent and millions more are projected to be spent in this effort. A lot of jobs are funded in the stream poisoning effort because the Arizona Game and Fish Department has a historic commitment to stocking lakes and streams with sport fish such as bass, trout, and catfish. These edible fish, which are deemed by purists “exotic” problem species, so the Department finds itself obligated to “renovate” (poison) many miles of Arizona waters as expiation for its sportfish program. US Fish and Wildlife and litigious environmental groups have the Department “over a fish barrel” with the CAP Biological Opinion. They are effectively prevented from continuing their stocking work unless they lead the poisoning and reintroduction efforts. By Activists Rotenone is viewed as the only effective way to “renovate” the streams and restore the endangered species. One suspects that the Salt River Project’s behind-the-scenes opposition to SB1294 arises from SRP’s fears that if the killing of exotic species in Arizona’s streams is halted…radical environmental groups could demand blowing up Roosevelt Dam and making the Salt River flow natural and free again (Note: radical environmental groups have repeatedly voiced their determination to see Glen Canyon Dam blown up). The public needs to insist loudly that long-term effects of this poison be carefully analyzed before more people and aquatic species become experimental subjects in an increasingly questionable and clearly risky program. The poisoning proponents dismiss concerns by stating that the poisons will be applied far from cities: oops, what about the rural residents? What about the effect on wildlife that drinks from those poisoned streams? They want to keep poisoning our waters so they can “restore” native fishes….even if this approach doesn’t work, even if the poison has a record of frequently escaping from the targeted stream reaches, and even if there is a growing body of research suggesting substantial risk to people. According to the National Institutes of Health, pesticides are linked to Parkinson’s disease but not to worry. Really? Health, ecosystem effects of rotenone ignored. ….Rotenone is a powerful neurotoxin that kills fish and other aquatic organisms by shutting down energy production in cells. Lab studies show that at low doses over time, rotenone selectively kills dopamine-producing nerve cells grown in petri dishes. Loss of these cells leads to Parkinson’s disease, and researchers routinely use rotenone to induce Parkinson’s disease in research animals. A few human studies have linked Parkinson’s disease with exposure to rotenone and other neurotoxic pesticides. One study that looked at people living in Texas found significantly increased risk of Parkinson’s disease with any occupational or environmental use of rotenone in the prior year as well as an increased risk from using pesticides, including rotenone, during the last year while gardening. However, more studies in humans are needed to fully understand the health risks of rotenone exposure and to evaluate the sources of exposure after a waterway is doused. At risk for exposure are people applying rotenone, anyone who may use treated water recreationally, and the general public if drinking water is contaminated following rotenone applications. When the U.S. Environmental Protection Agency reviewed rotenone in 2007, it noted that, “using the existing database, EPA cannot quantitatively assess a potentially critical effect (neurotoxicity) at doses to which rotenone users could be exposed.” Essentially, neurological impacts of rotenone were not considered in EPA’s assessment, despite the fact that neurological impacts are the main issue of concern with rotenone. To account for this lack of information, EPA added a 10 times uncertainty factor to set approved concentrations for rotenone. Importantly, rotenone has not been evaluated for effects on fetal development, although studies with other neurotoxins show that fetal exposure can increase a person’s risk for neurodegenerative disease, like Parkinson’s, later in life. But when rotenone is applied to a river or lake with the intention of eradicating a target fish species, all fish, amphibians and invertebrates are vulnerable to extermination. Rotenone is not selective. Therefore, it is extremely dangerous to wildlife. Moreover, the loss of aquatic species eradicates the food supply for birds and other near-shore animals. This can interrupt bird diversity, nesting and reproduction for several years. In addition to leaving out the health and ecosystem impacts of rotenone, neither journalist reported on whether or not rotenone actually works to achieve the fish eradication objectives set forth by water managers. In 1997, the California Department of Fish and Game applied rotenone to Lake Davis to control northern pike. Initially, the treatment worked, but two years later the pike returned. After the 1997 poisoning, the town of Portola had to switch its water supply from Lake Davis to wells due to rotenone poisoning in the lake. The debacle led to a $9.2 million settlement between California and Portola. Today, California continues to use rotenone against northern pike, despite the dramatic costs and ineffectiveness of this approach. PORTOLA, Calif., Sept. 11 – The poison didn’t work, and neither did the hook and bobber. The electrical probes were somewhat effective, but don’t even ask about the explosives. In support of the state’s eradication effort, residents in the Lake Davis area recently burned a 13-foot-long effigy of the pesky northern pike, made of papier-mâché with nails for teeth. For the last decade, the state of California has waged a Sisyphean battle against the northern pike, a fish and a voracious eating machine. In the mid-1990s, when pike were first found in Lake Davis, a Sierra Nevada reservoir about four miles north of here, the discovery set off a panic over the potential impact on the local trout-fishing and tourist industries as well as the possibility of the fish migrating to fragile ecosystems downstream. Since then, millions of dollars and thousands of man-hours have been spent trying to spike the pike. But while the methods, including poison, electro-fishing, explosives and decidedly low-tech nets, have varied, the results have remained the same. The lake was closed after Labor Day to prepare for the watery assault. The plan is simple: poison the fish with 17,000 gallons of rotenone, a commonly used pesticide that is absorbed through the gills and blocks the ability to process oxygen. Rotenone is widely considered safe for mammals and other nongilled animals, though some concerns have been raised about links to Parkinson’s disease and some types of cancer. But Gerald Sipe, the director of environmental health for the Plumas County Public Health Agency, said his office had determined that the treatment plan would not adversely affect the public. It is not the first time the state has used rotenone in Lake Davis. In 1997, officials used a powdered form of the poison, which fouled the lake, Portola’s longtime water supply. (The town now primarily draws its water from wells.) The state later approved a $9.2 million settlement with the city and the county for businesses, homeowners and local residents. And, two years later, the pike were back. Amending title 49, chapter 2, article 6, Arizona Revised Statutes, by adding section 49-311; relating to pesticide contamination prevention. A. A person shall not apply Rotenone or antimycin A to any spring, seep, stream, river, stock pond, irrigation water delivery system, lake or any other body of standing or running water in this state, until submitting to the director a full impact analysis of any risks posed to the environment and downstream potable water supply or livestock water supply and receiving approval from the director for the application. B. On receipt and review of the analysis, the director shall issue either a written approval if the director finds the application will not endanger the health of the environment, humans or livestock or a written disapproval of the analysis. C. A person who violates this section is guilty of endangerment as prescribed in Section 13-1201. Note: Hugh Holub represents the town of Patagonia in this matter. The truth is beginning to come out regarding Border Patrol Agent Brian Terry’s murder. After first denying that the Border Patrol agents who confronted the border bandits in Peck Canyon near Rio Rico used bean bag rounds initially, now the feds are admitting that was indeed the case. Contrary to growing rumors, Border Patrol agents have not been ordered to use non-lethal ammunition when fired upon, officials of Customs and Border Protection (CBP) stated in response to questions from Homeland Security Today. The feds are still refusing to address the allegations that one of the guns used in the killing came by way of a gun shop in Glendale and was “walked” into the hands of the border bandits under the watchful eyes of the ATF. But Terry’s brother, Kent Terry, said the other agents who were there that night told him that they were instructed to use the non-lethal beanbags first. It’s a policy that doesn’t make sense to Kent Terry. Want to know when you’ve hit a sore spot and there really is a fire where you reported there was smoke? When the other side goes after you and attacks. It is getting stranger and stranger regarding the death of Border Patrol Agent Brian Terry west of Rio Rico on December 14th. Agent Terry was part of a Border Patrol Tactical unit (BORTAC) pursuing bandits in Peck Canyon west of Rio Rico, Arizona. As noted by many, the federal stonewalling of information about the incident creates more doubt, suspicion and rumors. The fact that the 4 suspects caught by the Border Patrol haven’t been named or charged after 2 weeks really raises some serious questions. Why is there no real information coming out from the feds? But, suddenly the identification of the suspect vanished from the Republic. Fox11 even had a photo of the suspect. Here is the news so far…. KGUN Channel 9 in Tucson reported that there are four non-citizens in custody in the incident according to an attorney defending one of the suspects who was injured in the incident. But the names still haven’t been released. …According to Williams, immigration law allows federal authorities to hold non-citizens for lengthy periods of time without releasing their names to the public. Immigration and Customs Enforcement officials confirmed to 9 On Your Side that ICE does not release the names of any suspects simply facing immigration charges. ….“All we can assume at this point is that these individuals really aren’t associated with the shooting at all. Or, while the government may think they are associated, they may not have enough evidence or information at this point to feel comfortable meeting the probable cause standard,” said Heather Williams, assistant federal public defender in Tucson, whose office is representing one of the detainees. …The federal government has given Williams’ office and the three private attorneys representing the other three men very little information about the investigation. However, the attorneys don’t expect anyone currently in custody to be charged with the shooting, Williams said. The Star also noted it was not releasing the names of the suspects because they hadn’t been charged yet. More than two weeks after Border Patrol Agent Brian Terry was gunned down in a shootout near Nogales, federal authorities have yet to identify the suspects they arrested or to file any charges in connection with the slaying. Leslie Bowman, a Tucson attorney who represents one of the men picked up after the Dec. 14 gunbattle, said she has never seen such a case in 18 years of work in federal court. Border Patrol officials referred media inquiries to the FBI, which is carrying out the criminal investigation. An FBI spokesman and a representative at the U.S. Attorney’s office said they were not divulging anything about the probe or the suspects. David Gonzales, U.S. marshal for Arizona, declined to identify those arrested, but confirmed that five men are in federal custody on felony immigration charges. Four were arrested the night of the homicide, Gonzales said, and a fifth was captured the next day. “I’m sure that in the next week or two there will be indictments coming down in connection with the shooting,” Gonzales said. Terry, 40, a member of the Border Patrol’s elite tactical squad known as BORTAC, was searching a canyon area near Rio Rico for gangsters who prey upon smugglers and illegal immigrants. Homeland Security Secretary Janet Napolitano said gunfire erupted when his team of four agents ran into a group of banditos. Terry died at the scene; one suspect was wounded. Although arrests were announced within hours, authorities withheld the suspects’ names. Neither the FBI nor the Border Patrol has provided details about the tactical mission or what transpired that night. Bowman said the lack of public information could signal that investigators were having trouble building a case, or struggling to determine what happened with the BORTAC operation. “My guess is that they’re trying to sort this thing out,” Bowman said. Bowman said her client was voluntarily deported after an arrest for illegal entry in July, but has no record of criminal convictions. Under a streamlined federal program, she said, defendants in his situation typically plead guilty to an immigration violation and are immediately deported. Instead, her client was charged with a felony and initially was held in isolation. Attorneys for the other suspects could not be reached. UPDATE JANUARY 5, 2011: The Arizona Daiuly star is reporting the feds have 6 suspects in custody now in the Terry incident. 9OYS Investigates: Border Patrol deadly force policy Channel 9 KGUN in Tucson chased the Tancredo story that Terry was armed with bean bag rounds. Still no information on suspects from the Immigration Ckearinghouse which trashes the Trancredo post. New Details in Murder of Border Patrol Agent Brian Terry from the New American, a John Birch Society website. Attempt to focus on immigration even though a murder of Border Patrol took place from the Citizen’s Three Sonorans…in which he has discovered that the 4 suspects apprehended are only being charged with illegal re-rentry. The real shocker was the following email from a Bob Price. I tried to chase down Mr Price about the email to no avail. On December 14, 2010, at approximately 11:13 p.m., a report of shots fired was broadcast over the radio by a member of TCA/BORTAC. The agent reported that an agent had been “hit” and that a possible bandit had been struck as well during the armed encounter. The area of the armed encounter is reported to be in an area known as “Peck Well”, near Rio Rico, Arizona. Nogales Radio (KAK-865) immediately notified Emergency Medical Services (EMS), as well as Life Flight. Field Operations Supervisor (FOS) Luke Bilow responded and set up a Command Post on Mesquite Seap, in an area known as “Peck Mesa”, where a landing zone was also established for the responding Life Flight. Supervisory Border Patrol Agents (SBPA) Knab and Johnson responded to the scene. Air Assets: National Guard “Falcon One” and an OAM Blackhawk and Omaha 7AM” en route to assist in locating assailants. On December 15, 2010, at 12:10 a.m., it was reported that there was one assailant in custody, with multiple gunshot wounds. A second Life Flight was contacted and is en route at this time. The injured agent, identified as Brian Terry (Class #699/EOD 7/23/07), is currently in a Service vehicle being transported to the landing zone for the awaiting Life Flight helicopter. Tucson Sector Investigations Branch SBPA Kevin Jones was notified of the situation. A search for the outstanding assailants (reportedly 2) is ongoing. Updated information and timeline as of 2:38 a.m.
Six BORTAC Agents were conducting laying-in operations in the Peck Well area on December 14, 2010. At approximately 11:15 p.m., a group of approximately five individuals approached their position, coming from the east. BORTAC Agents identified that at least two of the individuals were carrying rifles. After identifying themselves as Border Patrol Agents, Detailer BORTAC Agent Gabriel Fragoza (Class 595/EOD; 7/11/05), from the Blythe Station/Yuma Sector, deployed two rounds from a less than lethal device (bean bags from shotgun). Agent Fragoza also discharged an unknown number of rounds from his Service issued sidearm. BORTAC Agent Timothy Keller (Class 653/EOD: 1/16/07), from the Calexico Station/El Centro Sector, discharged an unknown number of rounds from his Service issued M-4 rifle. After the armed encounter, BORTAC Agent Terry called out that he was hit and couldn’t feel his legs. Agent Terry lost consciousness shortly thereafter. Updated information and timeline as of 4:10 a.m.
SBPA Raul Chacon of the International Liaison Unit was contacted and he notified Mexican authorities of the situation. C-4 was contacted. ICAD ticket# 2045 was created for the incident. Arizona Department of Public Safety dispatching air assets to assist in the search for the outstanding assailant(s). At 3:40 a.m., the wounded suspect arrived to the landing zone to be air lifted by Life Line to University Medical Center (UMC). Preliminary reports indicate the suspect was shot twice in the abdomen, and once in the upper back. The suspect is coherent and identified himself as Manuel OSORIO-Arellanes (DOB: 8-4-76, POB: Choix, SIN, Mex.). At 3:41 a.m., Agent Terry was transported by EMS to the Tubac, Arizona Fire Station. Carroon’s Mortuary personnel will be transporting Agent Terry to Carroon’s Mortuary in Nogales, Arizona. Agent Terry is being escorted by Tucson Sector Honor Guard personnel. The search continues for the outstanding assailant(s). 11:18 p.m.: EMS/EMS Agents en route. 11:21 p.m.: Lifeflight and CBP/OAM contacted. 11:28 p.m.: Life Line en route. 11:33 p.m.: Air Omaha 7AM contacted. 11:35 p.m.: FOS Bilow sets up Command Post on Peck Mesa, near Gasline. 11:36 p.m.: National Guard Air Falcon One en route. 11:36 p.m.: Santa Cruz County Sheriff’s Deputies arrive at Command Post. 11:39 p.m.: EMS at Command Post. 11:39 p.m.: Tucson Investigations Branch (Kevin Jones) contacted. 11:40 p.m.: Reported that the injured agent is unresponsive/no pulse. 11:41 p.m.: Air Omaha 7AM en route. 11:44 p.m.: Tucson Investigations Branch/CIT en route. 11:53 p.m.: Life Line standing by at Landing Zone. 11:58 p.m.: BORTAC Agents report one suspect apprehended (with gunshot wounds). 11:59 p.m.: Omaha 7A9 and Omaha 747 (Blackhawk) in the area. 12:03 a.m.: Second Life Line contacted for wounded suspect. 12:09 a.m.: Wounded BORTAC Agent (Brian Terry) loaded into vehicle. 12:10 a.m.: Second Life Line en route. 12:10 a.m.: Mobile Surveillance Unit relocated. 12:14 a.m.: Falcon One in area. 12:19 a.m.: Agents en route to Ramanote Well to head off outstanding assailant(s). 12:23 a.m.: FOB Agents mobilizing further east on Ruby Road. 12:38 a.m.: Second Life Line on site. 12:46 a.m.: BORTAC Agent Terry arrives to Landing Zone. 12:51 a.m.: BORSTAR from Blackhawk rendering assistance. 01:06 a.m.: Dr. Chan pronounces Agent Terry dead. 01:35 a.m.: Reported that there are four subjects in custody at this time (one being gunshot), with one subject outstanding but spotted. 02:04 a.m.: Falcon One goes 10-7 for fuel. 02:40 a.m.: TCA Sector Radio informs Nogales Station that DPS Air Ranger en route. 03:05 a.m.: DPS Ranger in the area. 03:25 a.m.: Falcon One 10-8, on scene to assist. 03:40 a.m.: Wounded suspect arrives to LZ, en route to University Medical Center. 03:41 a.m.: Agent Terry is transported to Carroon’s Mortuary in Nogales, Arizona, escorted by Tucson Sector Honor Guard personnel. Twice deported POS involved in shooting death of Border Patrol Agent. The thing about the Price email is the description of the incident has a lot of gov-speak detail that is either a masterful work of fiction or is based on something real. Could not verify this email. So it is posted here more as an example of the kind of stuff that floats round the web in the absence of solid information. Sounds like there was a lot of gunfire in the dark and possibly Agent Terry could have been hit by friendly fire. To figure that out, one would have to match bullets with guns…assuming the Border Patrol recovered the bandits’ weapons. It is standard procedure in state and local police shooting incidents to take all weapons used in the incident for forensic work…so by now the feds ought to know whose bullets hit Agent Terry. If it turns out to be true that Agent Terry was hit with friendly fire, that does not for a second change the basic issue of the incident…we have armed bandits running around and BORTAC was out in the dark trying to protect the undocumented immigrants and the public who are prey for the bandits. Brian Terry is a hero. All the swirling rumors and claims just further emphasises the fact that the federal government is being really dumb in refusing to provide any substantive information about the incident. There are a lot of issues that come up after an incident like this…some of which may not reflect well on the Border Patrol’s management. So be it. Problems don’t get resolved by hiding stuff. Increasingly bizarre Internet-fueled rumors are charging that 40-year-old Border Patrol Agent Brian Terry was killed by a suspected Mexican crime gang on Dec. 14 because Homeland Security Secretary Janet Napolitano issued orders to first use non-lethal ammunition when coming under fire. CBP told Homeland Security Today they have nothing to hide; especially with regard to the sensational claims that Terry’s elite Border Patrol Tactical Unit (BORTAC) was under orders to first engage their attackers with non-lethal munitions. BORTAC is CBP’s quick response force. A former Marine, Terry was brutally murdered when his team came under reported automatic weapons fire a short distance from the US/Mexico border outside Nogales, Arizona. Following his honorable discharge from the Marines, Terry obtained a degree in criminal justice and worked as a police officer in Ecorse and Lincoln Park, Michigan before joining Border Patrol in July 2007. The area where Terry’s BORTAC unit was operating is a known hotbed of narco- and human-trafficking by Mexico’s ruthless and barbaric transnational criminal organizations (TCOs). The claim that CBP agents had been ordered to first use rubber bullets and bean bag munitions when fired on appears to have originated with Tom Tancredo, a former five-term US representative from Colorado and a 2008 candidate for the Republican presidential nomination, in an op-ed he wrote for the conservative WorldNet Daily on Dec. 17. Tancredo continued to stand by his claim in a recent interview with Tucson’s KGUN9-TV, which tried to investigate his allegations. “Still, Tancredo stands behind his story and its implications,” Diaz reported. During patrols with Border Patrol agents working in especially dangerous areas along the Southwest border, this reporter has observed that they are equipped with automatic weapons and protective gear. At CBP’s Nogales Port of Entry (PoE), agents stand guard and patrol the facility with automatic weapons. The CBP statement also comports with what Homeland Security Today has repeatedly reported since the summer of 2008. Senior Border Patrol officials stressed in interviews that they are authorized to return “live” fire when fired on or feel that their lives are in imminent danger. This includes authority to return fire at anyone shooting at them from the Mexican side of the border, which typically is from the banks of the Rio Grande River. There were several instances prior to Terry’s murder in which Border Patrol agents were forced to fire “live” rounds in self defense – actions that refute the claim that agents had been ordered to first use “non-lethal” munitions. “You’re damn right they are,” exclaimed a CBP official who works in CBP’s Tucson Sector that includes Nogales. Homeland Security Today’s October investigative report, Desperate and Dangerous, as well as several “Kimery Reports,” documented at length that in recent years these TCOs not only have become more violent, but that they also are more inclined to confront Border Patrol agents and border state law enforcement officers. In fact, some drug and human smugglers have openly stated that they are prepared and willing to kill any US law enforcement official – or anyone else, for that matter – who gets in their way. While a Tucson newspaper stated that Terry’s murder “highlights the fact that the border is not secure,” the fact is the border is more secure than it’s ever been, as Homeland Security Today has reported. The problem is that US border security activities, combined with drug interdiction operations, have significantly reduced Mexico’s TCOs’ smuggling routes into the US. This has put increased pressure on the TCOs, who are battling it out for control of the dwindling trafficking corridors into the US. And with increased narcotics busts, more seizures of larger amounts of illicit narco-revenue and more apprehensions of illegal border crossers, the cartels now appear willing to kill US law enforcement. In November 2009, the Tijuana Cartel is believed to be the TCO that made death threats against Nogales police department officers after drug smugglers were forced to abandon their narco-cargo and flee back into Mexico when two off-duty city police officers came across them while they were horseback riding outside Nogales. Nogales Police Chief Jeffrey Kirkham said confidential informants quickly heard from their narco-connections that the cartel issued orders to it cross-border smugglers to open fire on any off-duty officers who stumble upon future drug shipment operations. “We were told that these particular officers would be targeted if they were ever out in that area again off duty and came across any more [of the cartel’s] narco-smugglers,” Kirkham said, noting that the cartel had made it clear that it considers off-duty law enforcement to be fair game. The following month, on December 14 at 7:35 PM, a suspected cartel member opened fire on CBP’s Nogales PoE with an AK-47 – from Mexican soil! The shots were fired from the ridge of a small mountain just inside Mexico that strategically overlooks the port, the bullets slammed into several vehicles and PoE facilities, miraculously avoiding killing or injuring anyone. One of the powerful AK-47 rounds embedded itself in a Nogales PoE vehicular checkpoint building. It’s believed to be the first unleashing of automatic weapon fire by a cartel from inside Mexico at a CBP facility. Because the increasingly desperate TCOs are facing progressively fewer and fewer smuggling routes into the United States and an onslaught on their operations here and in Mexico that’s begun to seriously eat away at the revenue from their varied criminal enterprises. They no longer fear taking on US federal, state and local law enforcement that get in their way. The amplified bloodletting on the border coincides with CBP, Immigration and Customs Enforcement, Drug Enforcement Administration and federal, state and local law enforcement agencies successfully locking down larger and larger chunks of the border in recent years, forcing Mexico’s warring TCOs to have to find other smuggling and transportation routes across the border. Border CBP officials candidly acknowledged in interviews during a month-long investigation on the border last summer that they still confront myriad security problems, but were adamant that Napolitano’s hotly contested statement in June that “the US border has never been more secure” is accurate. Since December it has become absolutely clear that the coverup…which is obvious…was mostly because ATF looked the other way while guns “walked” into the hands of the bandits that shot Agent Terry. Both Border Patrol and ATF are still stonewalling any information about what really happened that night. But now we know the claim that BORTAC was required to use “less than lethal” weapons first, before using real guns to shoot back at the bandits…are true. As Alice said in Wonderland…getting curiouser and curiouser…. CBS News reports on ATF scandal…was Border Patrol Agent Brian Terry murdered by a gun being tracked by ATF? Inside ATF…an ugly picture …how many dead bodies are out there as a result of Project Gunrunner? FBI: Friendly fire ruled out in Tucson border agent’s slaying …so which gun fired the bullet that killed Brian Terry? Is there a cover-up on Border Patrol Agent Brian Terry’s murder? Was Border Patrol agent Brian Terry killed by a gun bought in Phoenix? One gets the impression listening to some folks in the state legislature that Arizona wants every baby born in the state (legally) to own an automatic weapon….no regulations whatsoever on gun ownership. But maybe the impression Arizonans aren’t willing to accept reasonable regulation of guns is not true. Arizonans may in fact be more moderate than the news accounts of state legislative efforts to allow guns on college campuses…. A new poll by the bipartisan coalition of Mayors Against Illegal Guns found that 83 Percent of Arizonans and 75 Percent of Gun Owners Support Requiring All Gun Buyers to Pass a Background Check – no matter where they buy the gun or who they buy it from. In other words…gun shows would have to require background checks. 91 percent of Arizonans and 91 percent of gun owners support requiring federal agencies to share information with each other about suspected dangerous persons or terrorists, in order to prevent them from buying guns. 88 percent of Arizonans and 86 percent of gun owners support fully funding the NICS Improvement Act, the law passed after the Virginia Tech shooting to prevent people with a history of mental illness from buying guns. 77 percent of Arizonans and 72 percent of gun owners support requiring gun dealers to notify state and local police when someone fails a background check when buying a gun. 85 percent of Arizonans and 85 percent of gun owners support prohibiting people on the terrorist watch lists from purchasing guns. 75 percent of Arizonans and 71 percent of gun owners support tracking bulk purchases of semi-automatic assault rifles, the weapon of choice of Mexican drug cartels. 69 percent of Arizonans and 56 percent of gun owners oppose proposals to allow carrying concealed guns on college campuses. 75 percent of Arizonans and 72 percent of gun owners oppose state proposals to allow carrying of concealed guns in government buildings, including courthouses and the state legislature. 82 percent of Arizonans and 78 percent of gun owners support a law to require background checks for all guns sold at gun shows. 83 percent of Arizonans and 75 percent of gun owners support requiring all prospective buyers to pass a background check, no matter where they buy the gun and no matter who they buy it from. The bipartisan coalition of Mayors Against Illegal Guns today announced the results of a statewide poll demonstrating overwhelming support among Arizonans for measures designed to keep guns out of the hands of dangerous people, including fixing glaring loopholes background check system. The survey by American Viewpoint found deep support for provisions contained in the Fix Gun Checks Act of 2011, introduced today by Senator Chuck Schumer (D-NY). The legislation, modeled on a proposal by more than 550 mayors in the Mayors Against Illegal Guns coalition, would create stronger incentives for states to submit records to the National Instant Background Check System (NICS) on individuals who are prohibited from purchasing firearms. The bill would also require federal agencies to certify that they are sharing information about prohibited purchasers and require all gun buyers to pass a background check, with narrow exemptions. Any of these facts should have prohibited Loughner from buying a gun for at least one year. But less than a year later after the military turned him away, he was able to buy a shotgun after passing a background check conducted by the NICS. A year after that, in November of 2010, he bought another gun-a Glock that he used to kill 6 people and injure 13 others, including Rep. Gabrielle Giffords (D-AZ). The national gun background check system has serious flaws. In part because Congress has failed to fully fund the system, millions of records of prohibited purchasers (including criminals, drug abusers, domestic violence offenders and the mentally ill) are still missing from the NICS database. Arizona has submitted only 5,036 mental health records and only one drug abuse record to the NICS database. There is also no federal law requiring background checks for “private sales” by someone other than a licensed dealer. Around 40 percent of U.S. gun sales are private sales completed at places like gun shows, in parking lots or over the Internet. The Fix Gun Checks Act of 2011 would provide tough incentives to states to ensure that all records of prohibited buyers are included in the background check system, and that all purchasers have a background check, with reasonable exceptions. This poll was part of a five-state bi-partisan polling project sponsored by Mayors Against Illegal Guns and managed by Momentum Analysis. The Arizona poll was conducted between February 16 and February 17, 2011 by American Viewpoint, a Republican polling firm. American Viewpoint is one of the most widely respected public opinion research and strategic message consulting firms in the United States. Founded in 1985 by Linda DiVall, the company has established a national reputation for outstanding quantitative and qualitative research in politics, corporate affairs, public policy and government relations. American Viewpoint has advised Republican campaigns and groups, including McCain-Palin ’08, Bush-Cheney ’04, the Republican National Committee, the National Republican Congressional Committee, the National Republican Senatorial Committee, Senator Roy Blunt and Senator Johnny Isakson. Corporate clients have included AT&T, CBS News, International Paper and Pfizer. Since its inception in April 2006, Mayors Against Illegal Guns has grown from 15 mayors to more than 550. Mayors Against Illegal Guns has united the nation’s mayors around these common goals: protecting their communities by holding gun offenders and irresponsible gun dealers accountable, demanding access to trace data that is critical to law enforcement efforts to combat illegal gun trafficking, and working with legislators to fix gaps, weaknesses and loopholes in the law that make it far too easy for criminals and other prohibited purchasers to get guns. See Arizona Republic version of story. Updated: 3/4/2011, 10:54 am | The head of the Bureau of Alcohol, Tobacco, Firearms and Explosive on Thursday night ordered an outside evaluation of his agency’s efforts to combat Mexican gun trafficking following a Center for Public Integrity report that ATF supervisors allowed more than 1,700 guns to flow to straw buyers with the expectation the weapons might cross the border and even be used in crimes. The Center’s story quoted an ATF agent, John Dodson, who blew the whistle on the operation after his supervisors repeatedly cast aside frontline agents’ concerns that the weapons ATF let “walk” might be deployed in crimes on both sides of the border. About time….since ATF “walked” guns keep turning up at the sites of murdered US law enforcement agents. Please make every effort for the next two weeks to maximize coverage of ATF operations/enforcement actions/arrests at the local and regional level. Given the negative coverage by CBS Evening News last week and upcoming events this week, the bureau should look for every opportunity to push coverage of good stories. Fortunately, the CBS story has not sparked any follow up coverage by mainstream media and seems to have fizzled. It was shoddy reporting, as CBS failed to air on-the-record interviews by former ATF officials and HQ statements for attribution that expressed opposing views and explained the law and difficulties of firearm trafficking investigations. The CBS producer for the story made only a feigned effort at the 11th hour to reach ATF HQ for comment. This week (To 3/1/2011), Attorney General Holder testifies on the Hill and likely will get questions about the allegations in the story. Also (The 3/3/2011), Mexico President Calderon will visit the White House and likely will testify on the Hill. He will probably draw attention to the lack of political support for demand letter 3 and Project Gunrunner. Thanks for your cooperation in this matter. If you have any significant operations that should get national media coverage, please reach out to the Public Affairs Division for support, coordination and clearance. This is what a cover up looks like from the inside of a government agency…. TUCSON, Ariz. – During a joint tunnel sweep along the International Boundary fence in Nogales, Ariz., on March 1, Border Patrol agents and Mexican law enforcement officers from the Secretaria De Seguridad Publica (SSP) discovered an illicit tunnel west of the DeConcini Port of Entry. The sweep was part of a recent series of proactive searches for illicit tunnels to deny smugglers underground access to the United States. During inspection, Border Patrol agents observed the tunnel was still under construction and without an exit. The incomplete tunnel originated in Mexico and extended approximately 18 feet into the United States. It measures approximately two feet wide by three feet tall. The Border Patrol continues to cooperate with Mexican authorities and share up to date information on smuggling trends. The bi-national collaboration assists the Border Patrol in denying, degrading, disrupting, and dismantling smuggling organizations. Since launching the Southwest Border Initiative in March 2009, the Department of Homeland Security under Secretary Janet Napolitano, has engaged in an unprecedented effort to bring focus and intensity to Southwest border security, coupled with a reinvigorated, smart and effective approach to enforcing immigration laws in the interior of our country. Members of the community remain a vital source of information for the Border Patrol. Should you see any suspicious activity, please report it by calling our toll free number at 1-877-872-7435. All calls will be answered and are anonymous. TUCSON, Ariz. – U.S. Border Patrol agents from the Ajo Station responded to a report of suspected contraband smugglers near Mile Marker 76 on State Route 85 Wednesday. Border Patrol agents interdicted 12 individuals and approximately 1,171 pounds of marijuana. The contraband has an estimated street value of $702,600. When Border Patrol agents from Ajo Station’s Horse Patrol Unit arrived at the area, they discovered two separate piles of marijuana bundles. Additional agents and National Park Service operators working under Operation Trident responded to interdict a group of individuals attempting to flee south. The agents subsequently apprehended the 12 illegal aliens from Mexico. In February, the U.S. Department of Homeland Security’s Customs and Border Protection (CBP), the Department of Interior, and U.S. Department of Agriculture announced Operation Trident, a collaborative enforcement approach that leverages the capabilities and resources of these three federal agencies to counter the threats posed by transnational criminal organizations, protect public lands from environmental damage, and deter violations of cultural and environmental laws. Operation Trident is just one of many ways in which DHS is working with its law enforcement partners to more effectively counter the threats posed by transnational criminal organizations in Arizona and improve the quality of life for affected communities. In March 2009, the Department of Homeland Security—in collaboration with its interagency partners—launched the Southwest Border Initiative to bring unprecedented focus and intensity to securing the Southwest border, coupled with a reinvigorated, smart, and effective approach to enforcing our immigration laws. U.S. Customs and Border Protection is the unified border agency within the Department of Homeland Security charged with management, control and protection of our nation’s borders at and between official ports of entry. CBP is charged with keeping terrorists and terrorist weapons out of the country while enforcing hundreds of U.S. laws. To report suspicious activity and remain anonymous, please call our toll free number at 1-877-872-7435. Is Baja Arizona viable as its own state?